We are a group of mainly non-professional yet very skilled and dedicated researchers devoted to discovering who the Trefethens and Trefrens are and were. We are sorting out the mysteries and recording the stories and lives of our family. We correspond betwinx ourselves via e-mail. Our findings, speculations and arguments have all been saved in one massive file which SOMEDAY we'd like to make available on the web. But for now we just haven't figured out to do that! If you find a reference to us and would like to know where the info came from, feel free to contact me, Andrew Trefethen, and I'll try to give you an answer. Andrew TREFETHEN Compiler, Web design... mostly letting the others do all the work! Emeritus members are those member who are deceased or we have been unable to contact for several years. If you are in emeritus status and want to become active again, we would be pleased to renew our relationship with you! Clinton D. TREFETHEN (Deceased) Compiler, Web design... mostly letting the others do all the work! 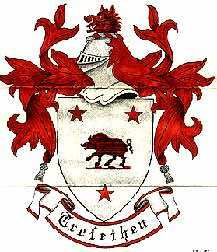 or CLICK HERE to go to the Top of the Trefethen Genealogy page.